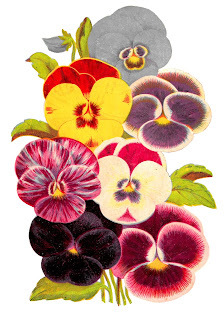 This is a glorious vintage Pansy clip art image of several varieties. 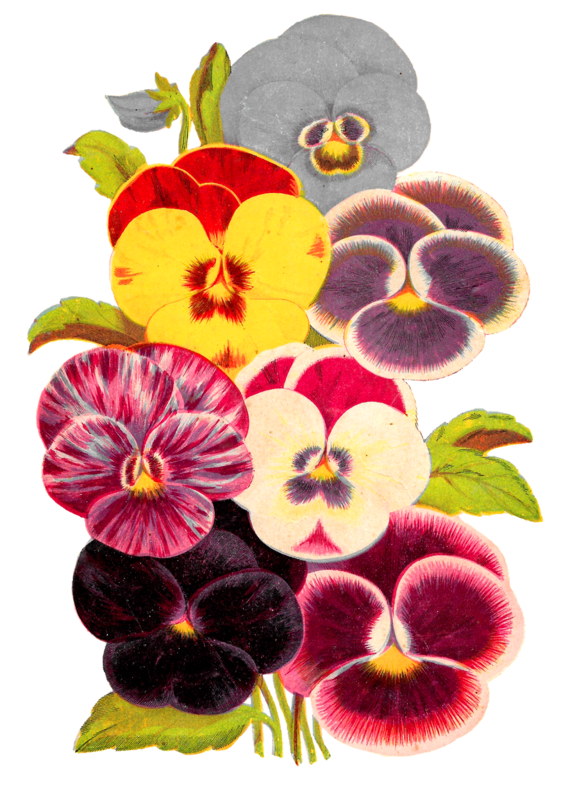 I created this digital flower clip art from a vintage seed catalog illustration that shows many pretty varieties of Pansies. All the different colors of Pansies make this botanical artwork spectacular. 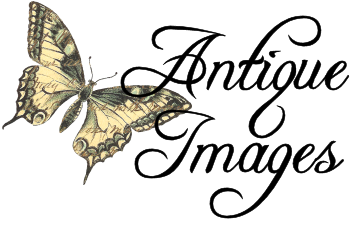 For all sorts of crafting projects, this vintage flower image would be wonderfully fun!